My medley of Blistered Beans and Artichokes is a versatile dish; serve it as a yummy side dish to just about any grilled meat or fish entrée! 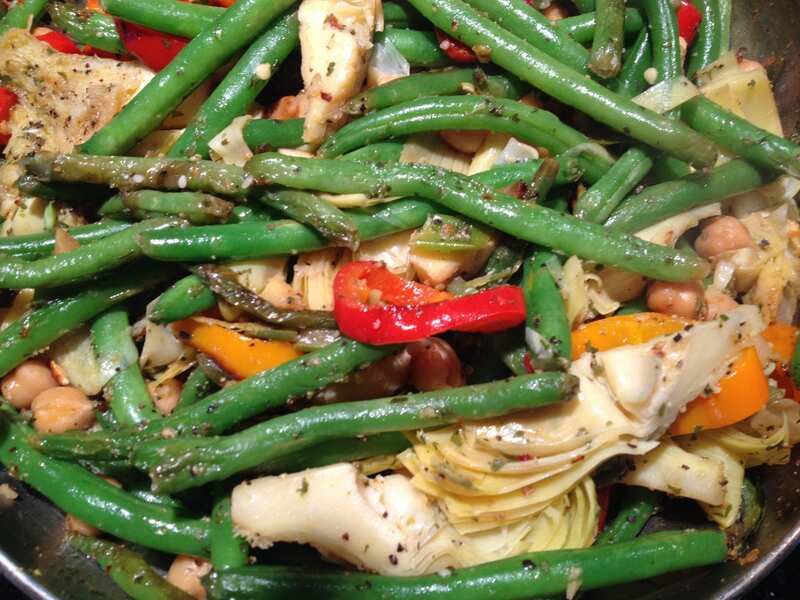 My Blistered Beans and Artichokes is a perfect room temperature salad. High in protein, and filled with nutritious organic vegetables, Blistered Beans and Artichokes is brightened with a twist of lemon! 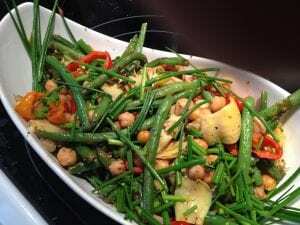 Blistered Beans and Artichokes is a summer salad to enjoy time and again; an easy and delicious way to eat your vegetables! Enjoy! Great as a room temperature salad too!